This week I am getting in touch with my country side. I grew up in town but I had a number of friends and an aunt and uncle who had farms that I spent my summer vacations going to. I learned how to milk cows, pick stones in the fields and clean out pig pens and much more!We worked hard ..... and yes we had some fun too! Honestly I'm a farm girl at heart. "Clarebelle & Riley" bring back some very fun memories for me! After colouring my stamp with alcohol markers, I cut it out using a stitched square die. The sentiment is part of a larger sentiment but I thought it fit this stamps perfectly. 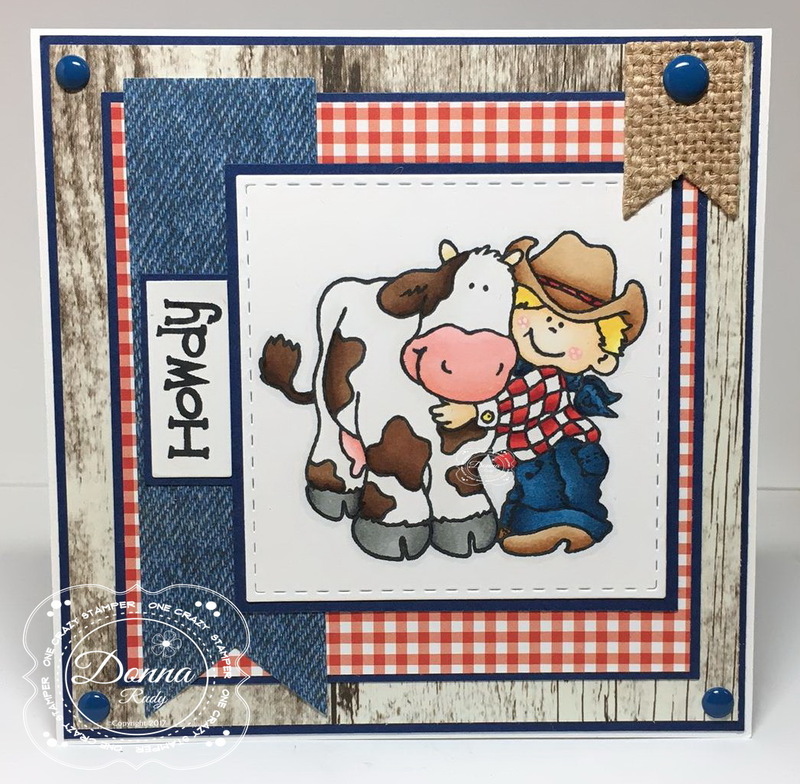 I really wanted to find a way to combine patterned paper that in my mind have kind of a country feel to them - gingham, burlap, denim and barn board. I was able to combine paper from two different companies and my stash to achieve my country feel. Some matching blue gumdrops finish off my card. Wow this turned out perfectly and looks even b better in person!! 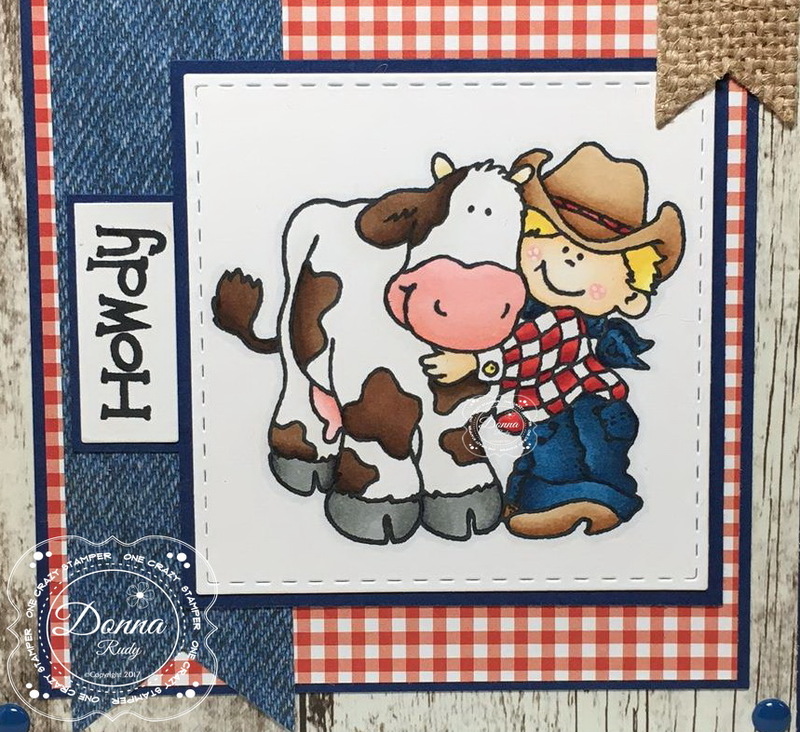 Love the combination of papers and your "brown spotted" cow! !